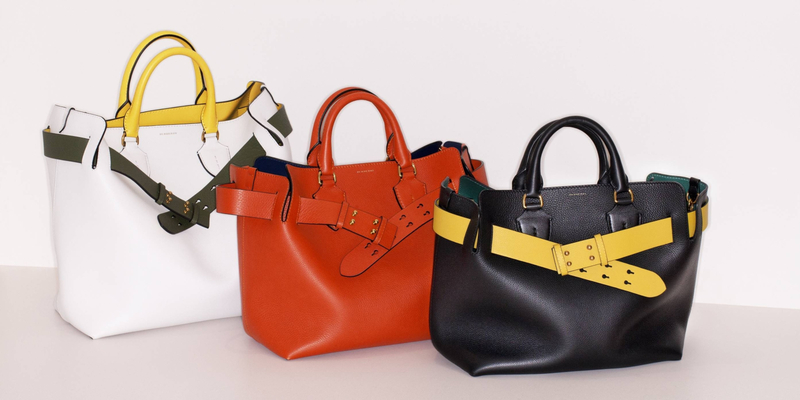 The collection will include styles in a range of eleven colours including a clash of two and tri-tone combinations. 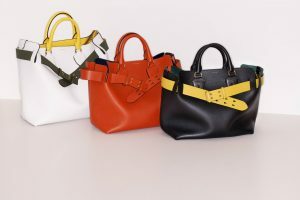 Burberry has introduced collection of bags inspired by the silhouette and attitude of their iconic trench coats. 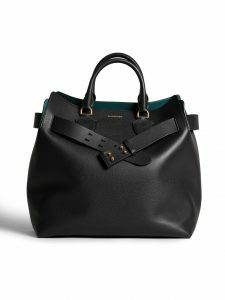 The Belt Bag is made with soft, supple and durable calf leather — the bag’s shape is influenced by the contour of the lapel and soft movements of the classic gabardine fabric and features an over-sized trench-inspired belt. Burberry Belt Bag in large, medium and small. The Belt Bag is available in three sizes: small, medium and large. The large size comes in range of eleven colours with two-and tri-tone combinations with colour-contrasting lining, and the medium size is available in nine colours. Available from May 2018, the small size will come in a range of 9 colours and a clutch style will be available in two sizes.